A modern day treasure chest of urban art is hidden deep in an abandoned subway station below New York City called The Underbelly Project. This incognito exhibition was manifested and curated by the street artists, Workhorse and PAC. 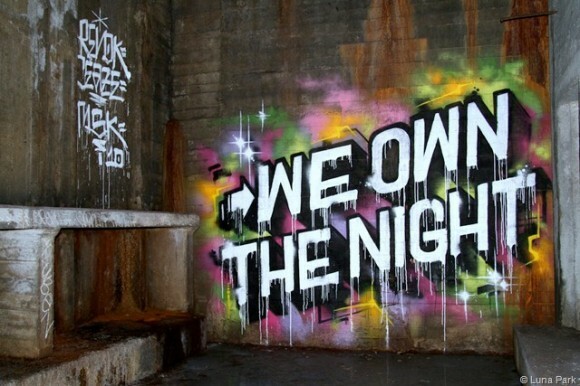 Over the last 18 months, 103 international artists claimed there stake in this new legend of New York graffiti. Those names include Roa, Jeff Soto, Smith/Sane, WK Interac, Stormie Mills, Remi/Rough, Ethos, M-City, Damon Ginandes, Various & Gould, Jim Darling, Thundercut, She One, Aiko, Faile, Momo, Revok, Ceaze, Daryll Peirce, Know Hope, Rone, Surge, The London Police, Swoon, Spazmat, Demer, Michael DeFeo, Ema, Meggs, Joe Iurato, Guilerme, Lucy McLauchlan, El Tono, JMR, Ron English, Dan Witz, Flying Fortress, Asylum, Lister, Jeff Stark, Indigo, Peru Ana Ana Peru, Meggs, Ripo, Kid Zoom, Gaia, Noh J. Coley, Cash4, TrustoCorp and many more. Check out the in depth articles in the New York Times and Huffington Post for more information.